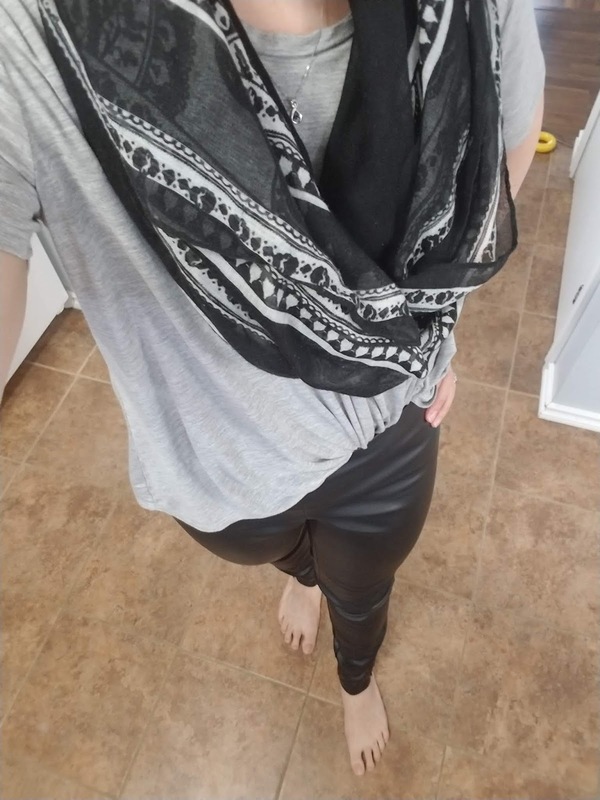 I have only worn my leather leggings in one way. I wear them with my red tunic sweater, heels and jewelry. I have used this outfit for dressier occasions when I haven't wanted to wear a dress. 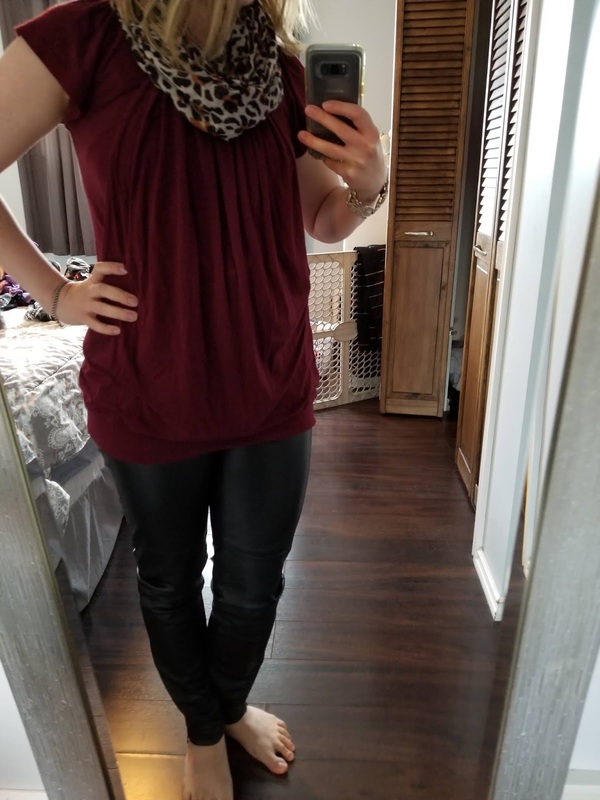 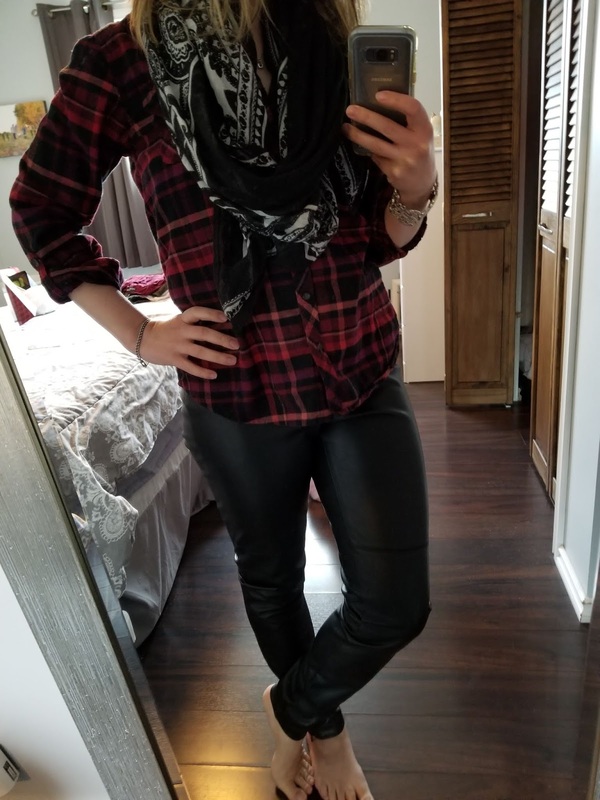 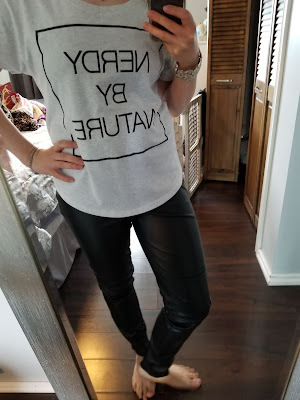 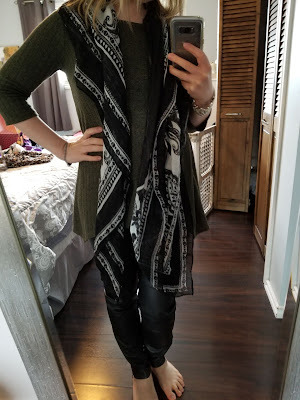 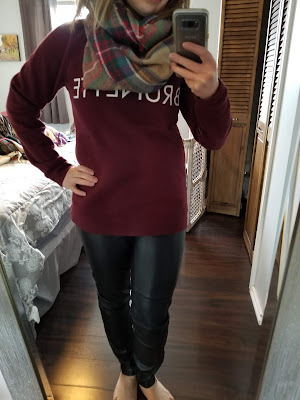 I have struggled to transition my leather leggings into my everyday wardrobe. 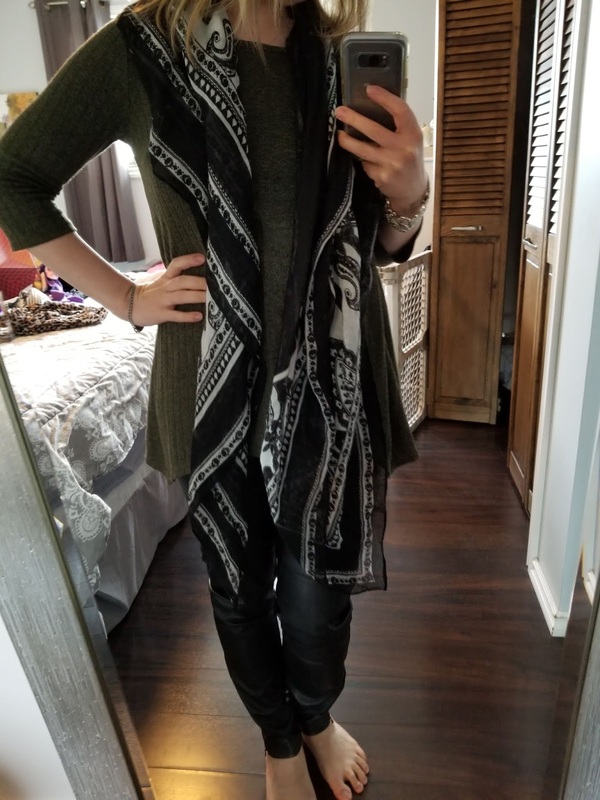 I don't like owning pieces that only have one function. 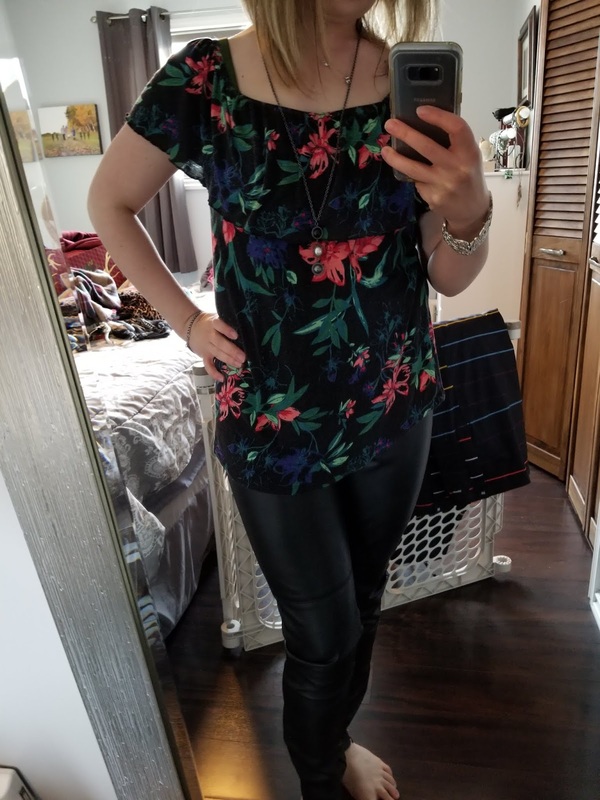 I decided to find a way to style the leggings in casual outfits so that I could get more use out of them. I worked within the confines of my current Capsule Wardrobe and came up with some great outfits that I am excited to wear. I LOVE the red plaid shirt with the leather leggings--so cute! And the "Nerdy by nature" shirt is amazing--I need that in my life hahah!